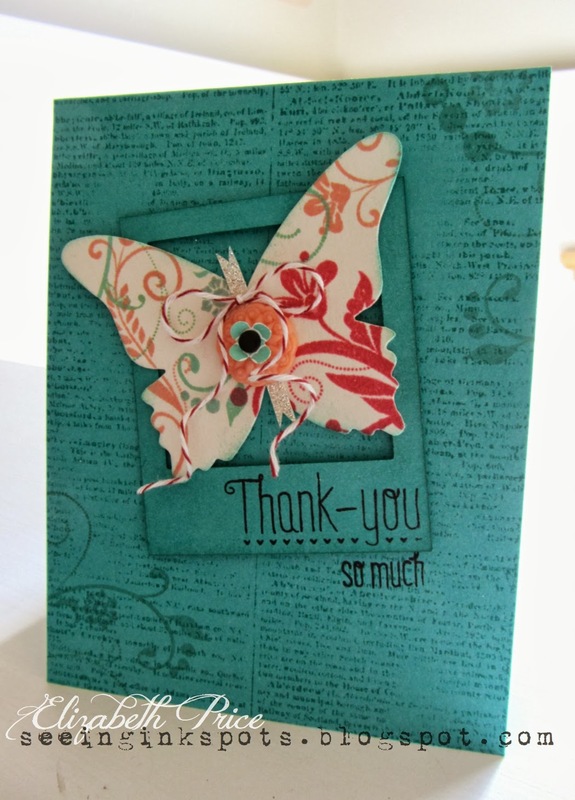 I busted out the fairly new Thank You photopolymer stamp set to make this cheerful card. Because the stamps are totally clear you can see through to you card stock to place the images exactly where you want it without using a Stamp-a-ma-jig. And that is just what I did to finish this card. 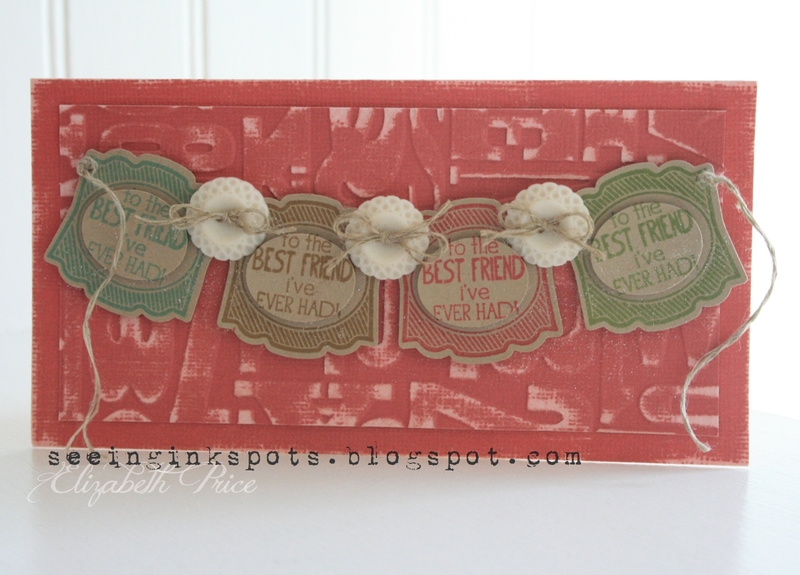 To start I stamped the Dictionary image on the front of a Bermuda Bay card base. Then I cut a polaroid frame with the Square Framelits and a Personal Trimmer and then sponged the edges to help give the frame definition. 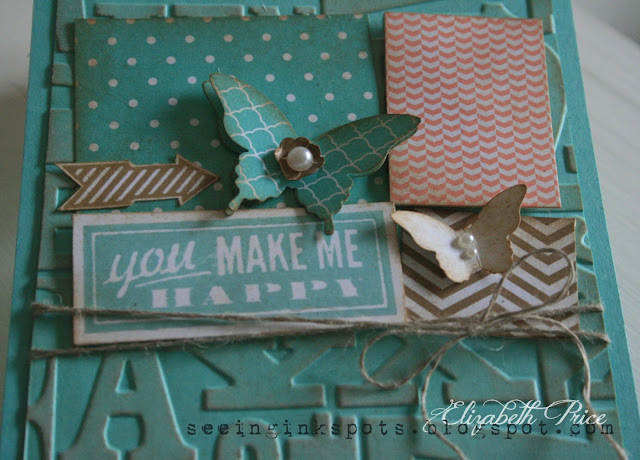 In the center of the frame I added a Coaster Board butterfly stamped with Flowering Flourishes in Strawberry Slush, Coastal Cabana, and Crisp Cantaloupe. A few embellishments like a skinny strip of Silver Glimmer Paper, a button, candy dot, and twine for the butterfly and I was done. It's that Glimmer Paper that really stands out when you see this card in real life. What's Better than a Big Bow? NOTHING! It's so cheerful, it says "celebrate," and, it works perfect on a birthday card. I think it's also a clever interpretation of the sketch challenge being hosted by Hand Stamped Sentiments. 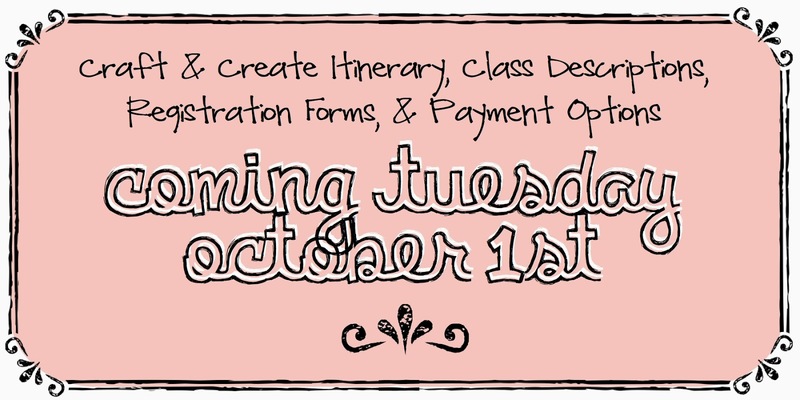 Be sure to click over and check out how the Design Team met the challenge and totally be inspired. 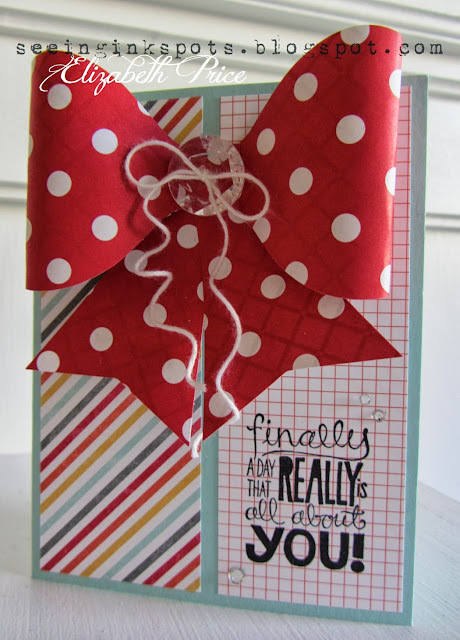 The main piece to my card is the red and white polka dot paper bow. 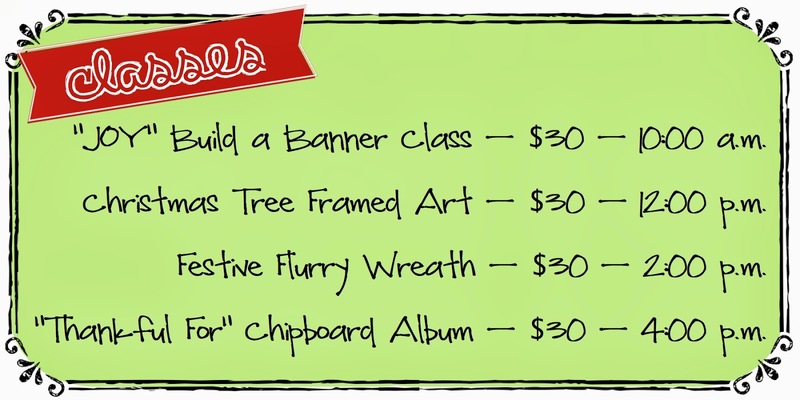 It came from the Pretty Presents Designer Bows pack and whipped up super quick. I layered it on top of two panels of I Am Me DSP. Let me just say that that pack of paper is SO cool. I love the colors and the patterns. 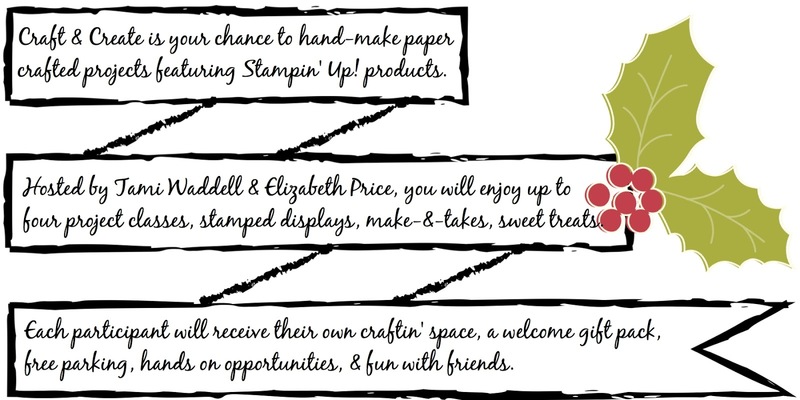 The greeting comes from the Really Good Greetings stamp set. 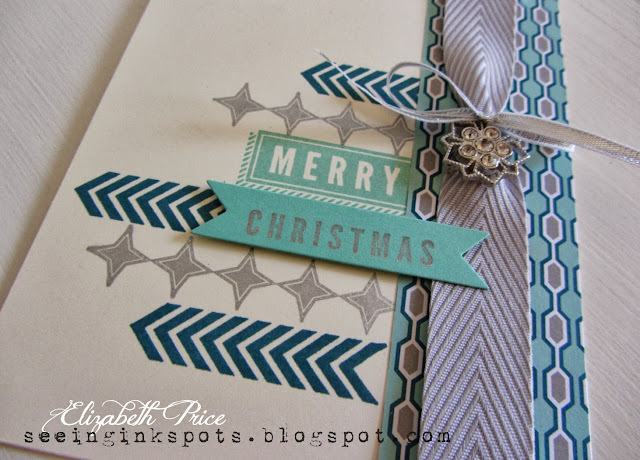 I hope you like my simple take on the Hand Stamped Sentiments sketch challenge card. It's all about Christmas and non-traditional colors for today's bi-monthly installment of Monday Montage. 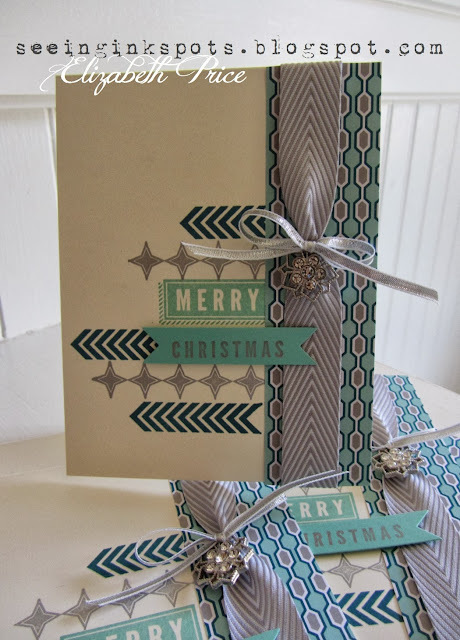 For both of my cards I have used the stamp set called A Banner Christmas along with the Winter Frost Specialty Designer Series Papers and complementing accessories. My first card was totally inspired by this card created by the fabulous Amy O'Neill. 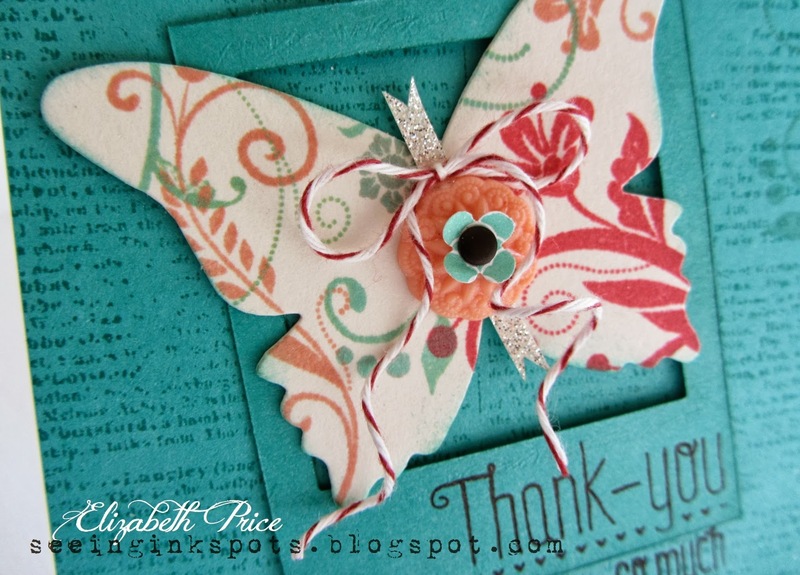 I truly am blown away by all her cards and pages as her style is impeccable and inspirational. 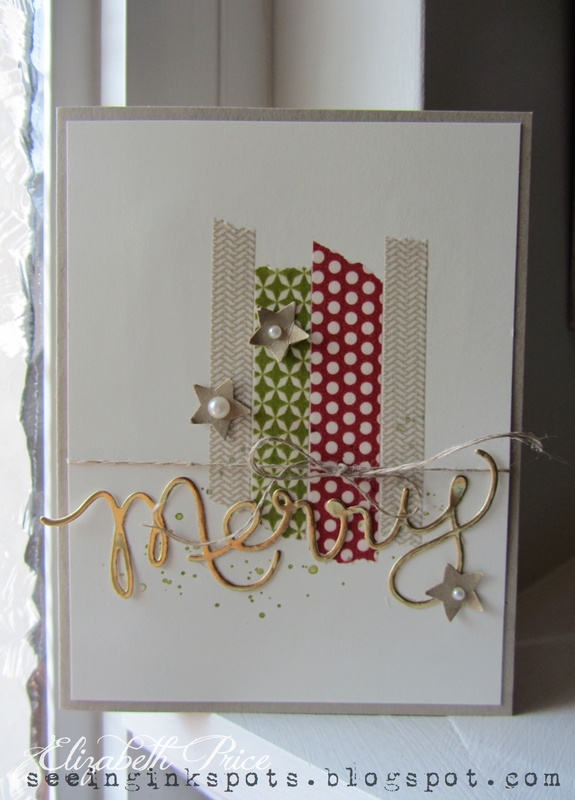 My second card includes a touch of the Silver Foil Paper that when sanded looks just like sheet metal. Can you say cool? Oh yeah it's great stuff! 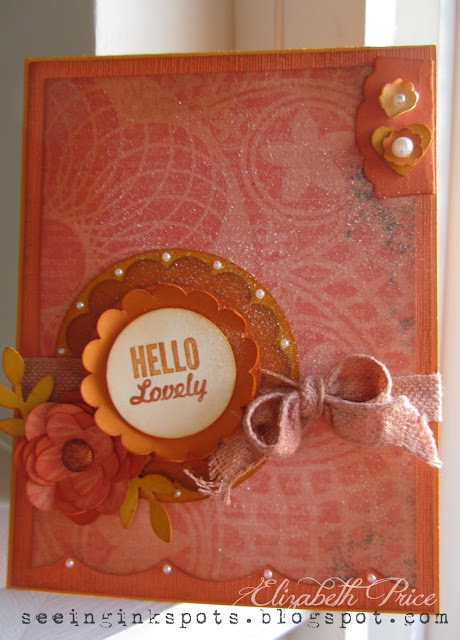 I'm not a miner, but I am a 49er fan (when it comes to routing for the home team) in love with GOLD EMBOSSING POWDER! I can't get enough of it and have tried several different things with it, some successful and some round file worthy. 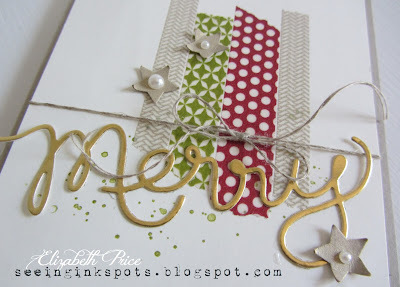 For this Create with Connie and Mary sketch challenge card I chose to just so some plain ol' heat embossing with Versamark Ink and Gold EP. This fall is the season for gold anything. It's hot and on trend and a perfect hue for mixing with prints and patterns of autumn. 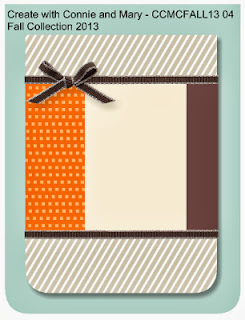 My card base is So Saffron card stock with a layer of Ivory Naturals card stock. I added strips of Sweater Weather DSP to meet the sketch challenge and then added my embellishments. 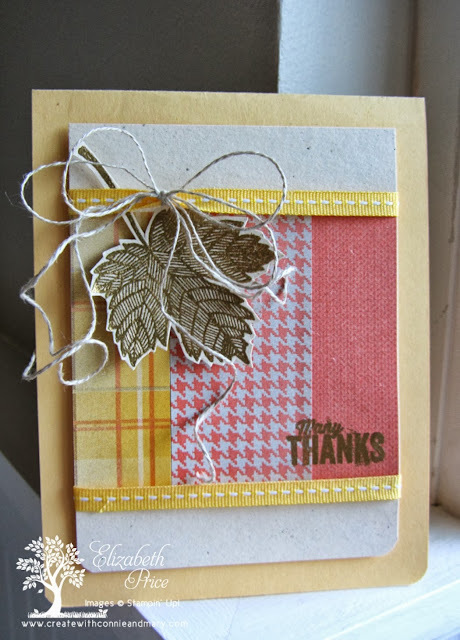 The leaf is a image called Magnificent Maple and the greeting comes from the Thank You Photopolymer stamp set. 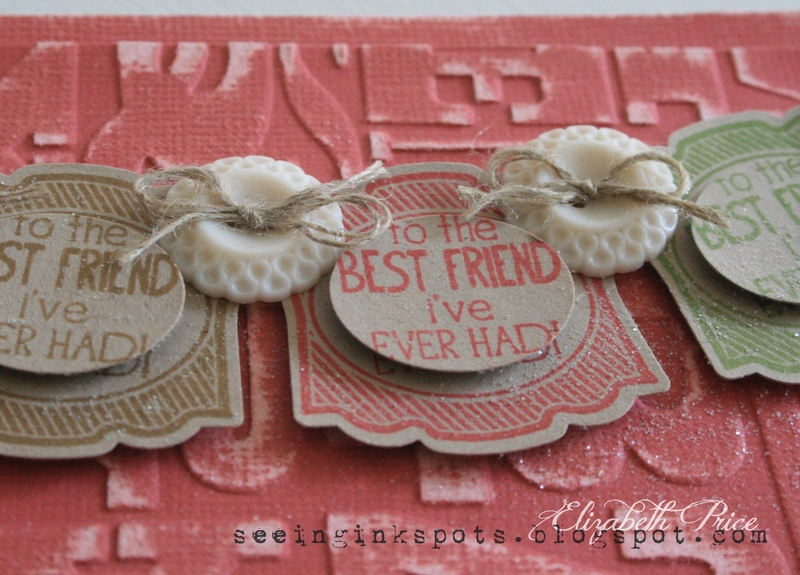 Both were stamped with Versamark and heat embossed with Gold EP. 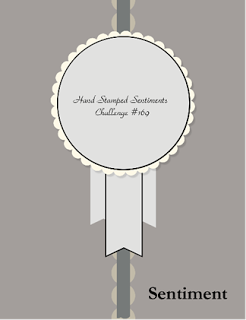 A couple pieces of Daffodil Delight Stitched Ribbon and Linen Thread are the finishing elements to match the challenge. It's not feelin' like it yet, but soon the air will be turning chilly and fall will be here and it will be sweater weather. Stampin' Up! nailed it perfectly with their Sweater Weather DSP. The patterns fit the season and are warm 'n cozy. The color challenge for this Saturday's post at Create with Connie and Mary finds inspiration from the Sweater Weather papers, but you can use anything you have in your stash of supplies that fit the Soft Sky, Crushed Curry, and Chocolate Chip palette. 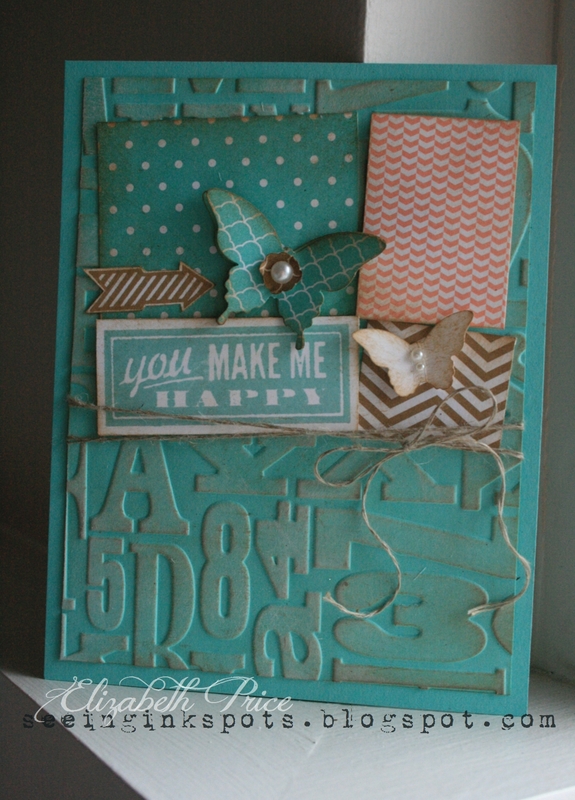 For this shabby and whimsical card I started with a top fold Coastal Cabana card base. Then I ran a panel of Coast Cabana through the Alphabet Press TIEF. 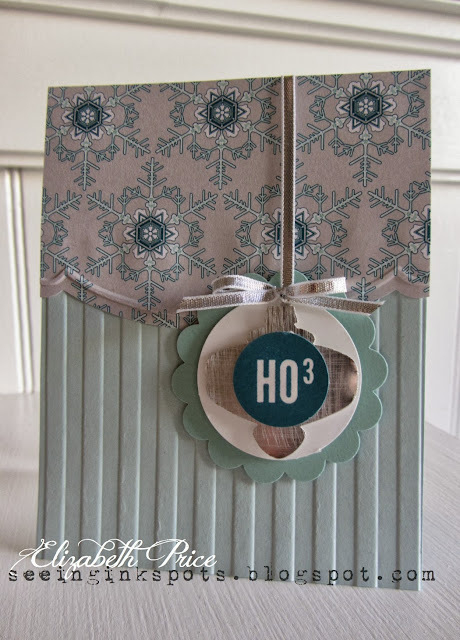 I grabbed a Whisper White ink pad and swiped the embossed letters in a direct to paper technique. Then I repeated that step but with a Baked Brown Sugar ink pad. The larger butterfly and the rectangle bits of DSP come from the In Color Stack and the stamps are from the Hello Lovely set. What I love about this card is all the sponging. 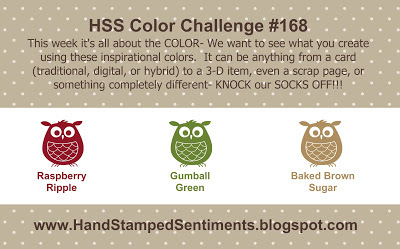 It's time for a color challenge hosted by Hand Stamped Sentiments featuring Raspberry Ripple, Gumball Green, and Baked Brown Sugar. It's is a color challenge and guess what I blew it and failed! That's right I didn't read and I just looked at the pictures and assumed it was Cherry Cobbler. 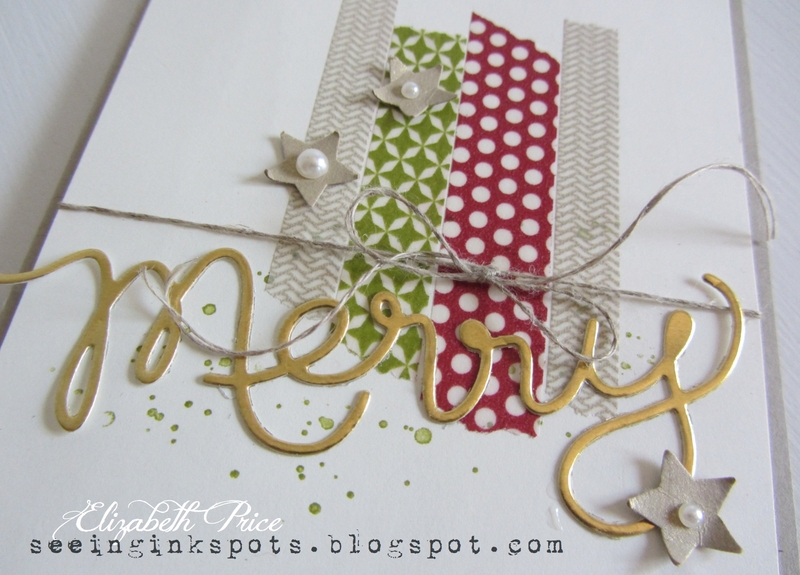 WRONG I was supposed to use Raspberry Ripple--oh well it's still a very cute whimsical merry and fun card. 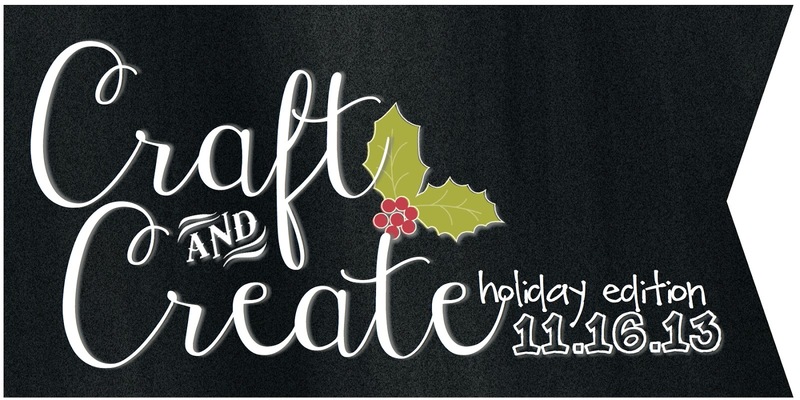 Do check out all the cards made by the design team at Hand Stamped Sentiments and then make one of your own and POST IT I want to see what you make. 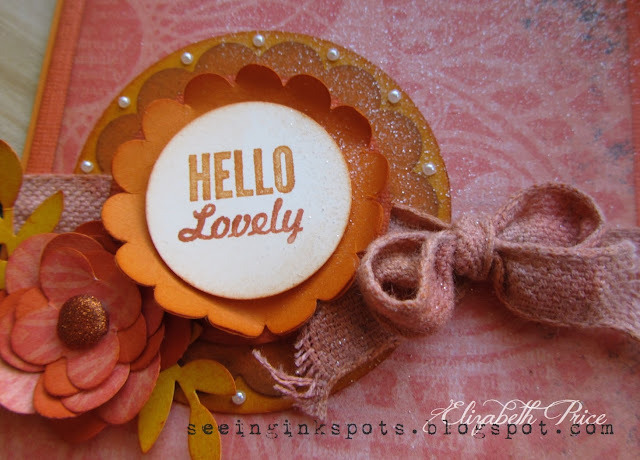 Welcome to our second Monday Montage Blog Hop. 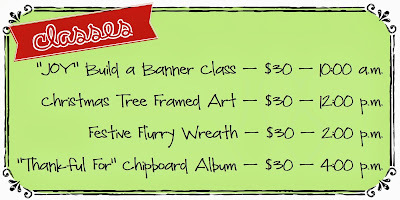 I am happy you are joining us and hope you are inspired with what you will see. 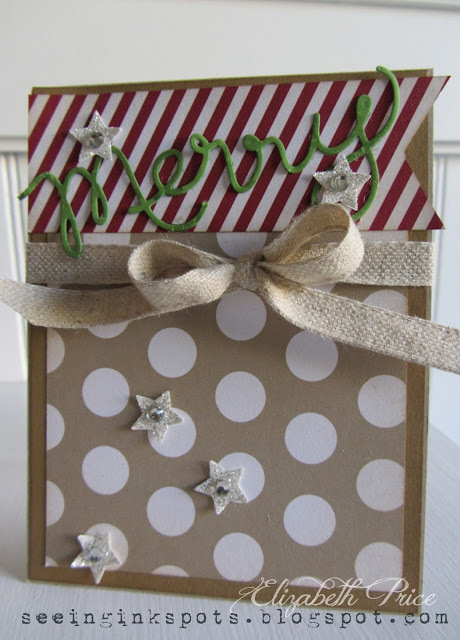 I thought I would share a card that I made on Thursday that I took my sweet time making. I indulged in the process of sponging the edges of every layer and punched piece, of adding lots of pearls as if I had packs and packs on hand, of dying the ribbon with ink refill and water, and of applying a dusting of glitter. I took a departure from my favorite colors and gravitated to a monochromatic palette of citrus hues. 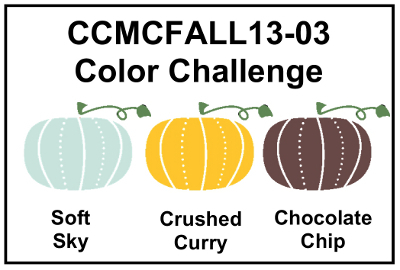 Lots of Pumpkie Pie, Tangerine Tango, Calypso Coral, and Crushed Curry are my card stock colors and I also grabbed Baked Brown Sugar ink for some of the sponging. The background piece of DSP is from the Epic Day This and That line. You want to talk about a super cool pack of DSP? 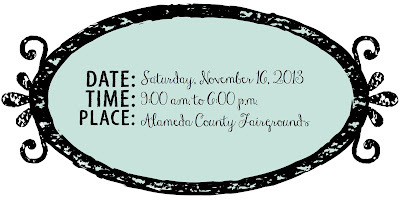 Then stick around because the Sweater Weather DSP is something you'll see this season from Stampin' Up! It's perfectly designed to complement the change of scenery and temperature and, it lives up to it's name and is reminiscent of big thick comfy sweaters. 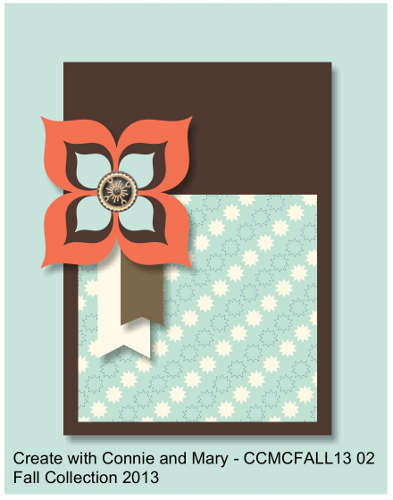 Since it is only the beginning of September I paired the autumnal patterns with soft warm tones that feel like late summer for my card. My sketch is from the Fall Collection of Create with Connie and Mary--I just turned it sideways. 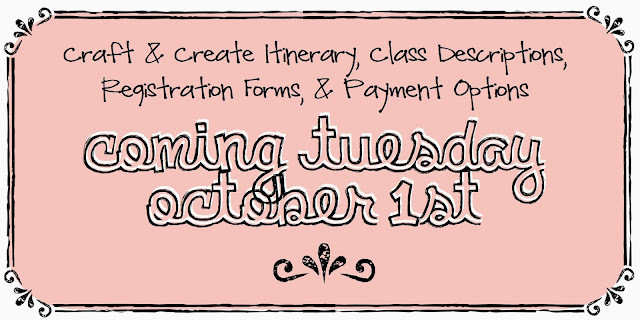 Pop over and see how the Design Team has been inspired by this sketch. 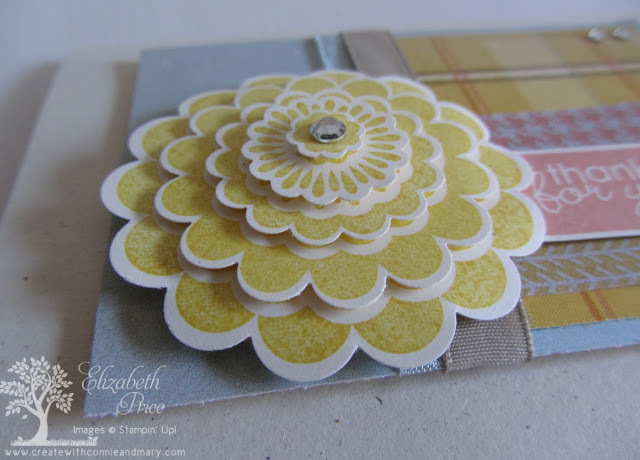 I used the Five-Way Flower image which I stamped five times. Then I punched each layer with the coordinating punch and assembled the pieces with Stampin' Dimensionals. 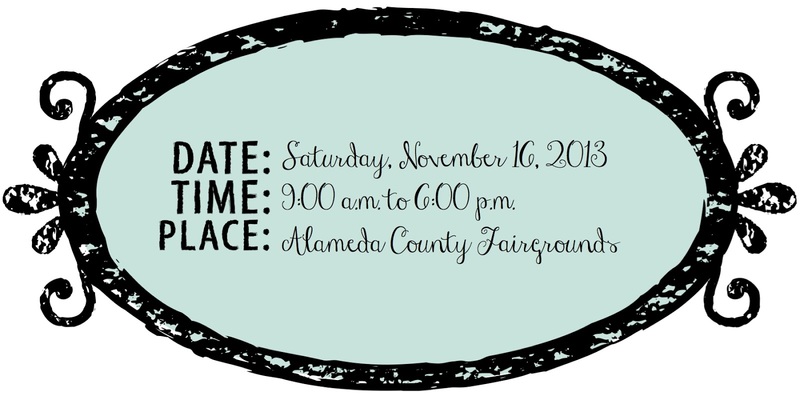 The greeting flag is stamped with the Banner Greetings hostess set and the ribbons are Soft Sky Seam Binding and Crumb Cake Taffeta. A few Basic Rhinestones added to the card and I was done. 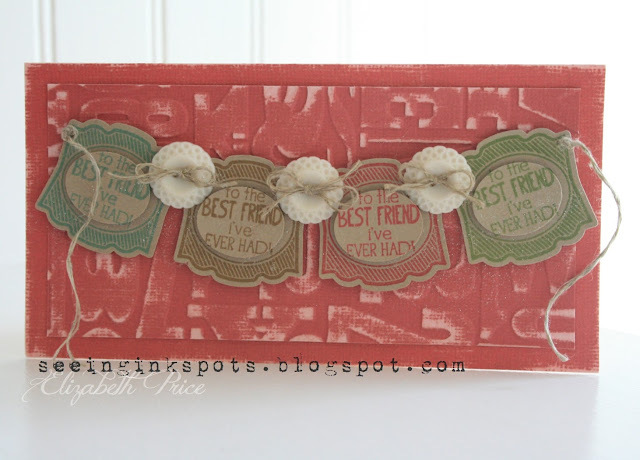 A quick post for today to share a fun "best friend" card. I love the colors and how they look on this 3" x 6" top fold card. I pulled out Coastal Cabana, Baked Brown Sugar, Strawberry Slush, and Wild Wasabi ink pads and stamped two of each on Crumb Cake card stock. I punched one of each color with the Small Oval Punch and then one of each with the Artisan Label Punch. 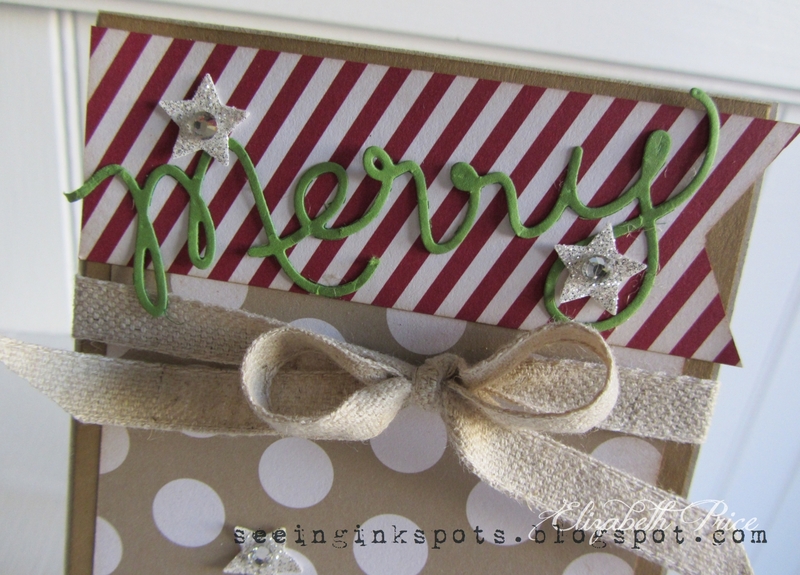 I layered the ovals on the labels with Stmapin' Dimensionals and then stung them all together with Linen Thread. I keep an embroidery needle with my Linen Thread to be ready to easily string small pennants and banners. 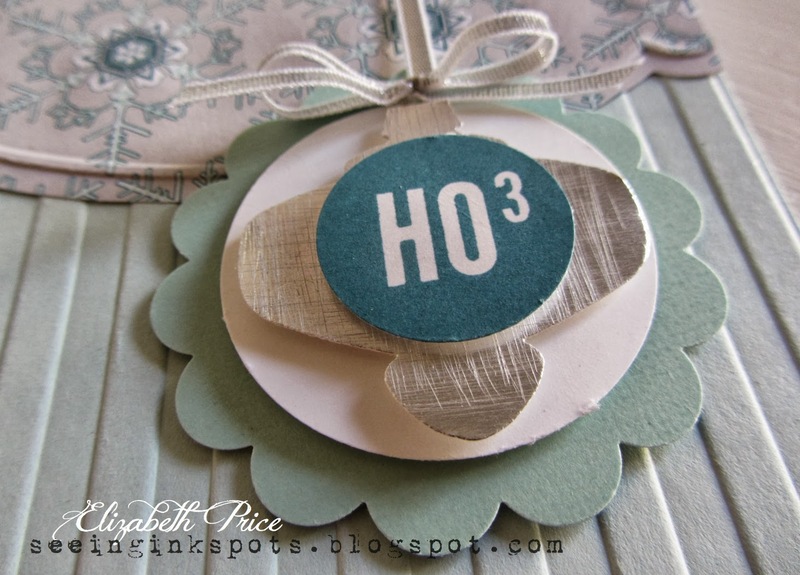 I mounted the mini garland on an Alphabet Press embossed piece of Primrose Petals Coredinations Card Stock.